Your Diabetes May Vary: How Do I Love DOC, Currently 318 Ways and Counting. How Do I Love DOC, Currently 318 Ways and Counting. 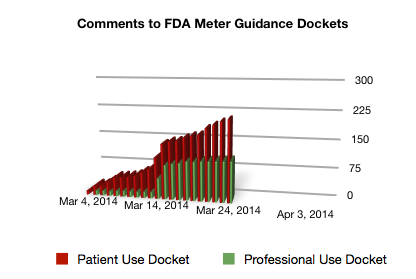 Keep the comments flowing to the FDA Meter Guidance dockets. Currently 211+107 = 318 comments and climbing. Want to learn more? FDA is holding a conversation with the DOC. Am I at Risk? Are you? Moo II / Moo Too. Keep Meters in the ER. Will D on Novo's Robo-Pen. very cool.